Mark Dacascos is an American actor, a martial artist. He is well-known for his roles in the films American Samurai, Only The Strong, The Crow and others. He has more than 70 films. 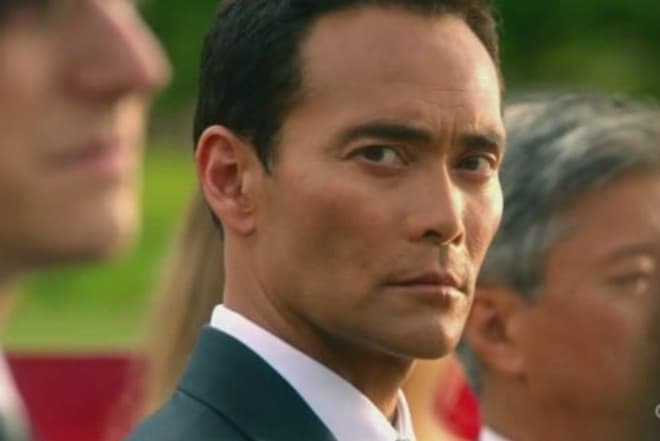 He is the star of the 90s, there was no significant Hollywood thriller of that time without him, Mark Dacascos was born in the family of the master kung fu Al Dacascos and his student Moriko McVey-Murray in 1964 (zodiac sign is Pisces) in Hawaii. The ancestors of Mark's parents were Irish, Filipinos, Japanese and Spaniards. It is impossible to determine the nationality of the actor because of the mixture of blood. In the future, directors often used this quality. Mark played a Chinese, Japanese, Kazakh and even Mexican over the years. The boy spent his childhood on the shores of the ocean in the family of his grandparents. But his life changed dramatically at the age of six: his father married for the second time to Malia Bernal, who was also a master of martial arts. Little Mark learned all the subtleties of the art of combat under her leadership. He had a feeling of love and gratitude to Malia and began to call her his second mother. And he still considers his half-brother Greg, his best friend. When Mark was just over ten years old, his father's family moved to the German city, Hamburg, where the half-brothers entered the local college. Freedom-loving boys did not like excessive strict Germany but they passed the test of learning with honor. The actor received a good education: he is fluent in English, French and German. By the way, he repeatedly became the winner of European competitions in kung fu, which added to his respect among peers. Mark began to have his first victories in sports at the age of nine. It is not a surprise that the boy daily visited training on judo, Kempo, boxing and karate. Mark could get a black belt in the style of "Wun Hop Kuen Do," his father invented this style. The young man went to Taiwan to study the fighting styles of Shaolin monks at the age of 17, at the insistence of his stepmother. Then he even thought of becoming a monk. But, on the other hand, Mark was seriously focused on a sports career. Upon his return to America, the young man was interested in capoeira, a sports kind of struggle with the elements of dance. Although the sports biography of Mark confidently went uphill, he decided to try himself in the movie in 1985. The assistant director of the film Dim Sum: A Little Bit of Heart accidentally noticed a young man in the street with a sporty physique and a high growth (he is 68 feet (175 cm) tall and he weighs 143 lbs to 154 lbs (65 to 70 kg)). The work brought pleasure to the young man, although the installation of the scene with him was cut. But he managed to get the right acquaintances and to light up at the Hollywood party during the work. 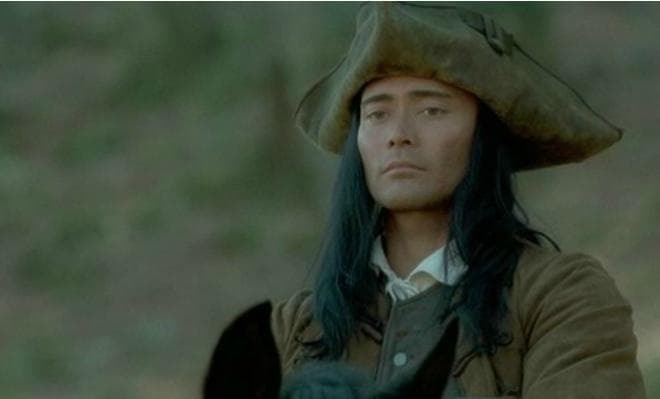 Mark Dacascos continued to appear in minor films for another seven years until he was invited to the main role in the movie American Samurai. 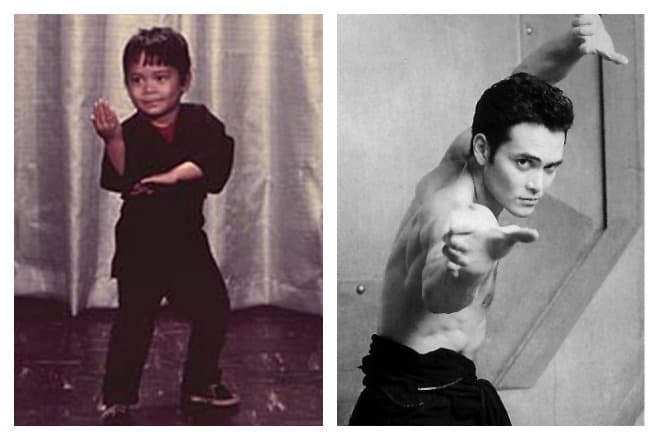 Dacascos began to have great success from this time. He managed to star in 17 blockbusters for several years, each of which had a resounding success with the audience. Mark's next success was the films with his participation Only the Strong and Crying Freeman. The last tape was a thriller with elements of detective and a thriller. 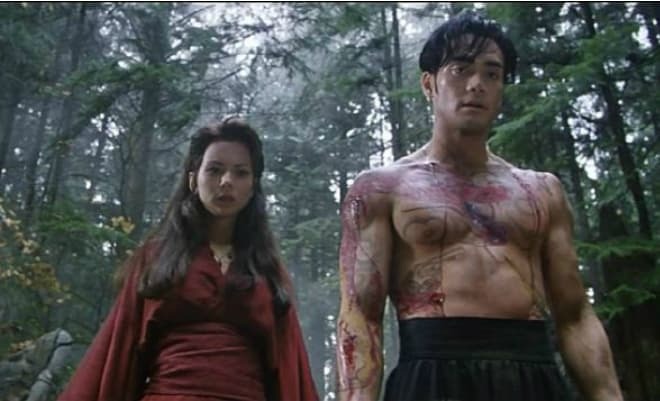 The best roles of the actor are the movies Kickboxer, where Dacascos had the opportunity to put his tricks and fights, the film Drive and the series The Crow: Stairway to Heaven Serial. 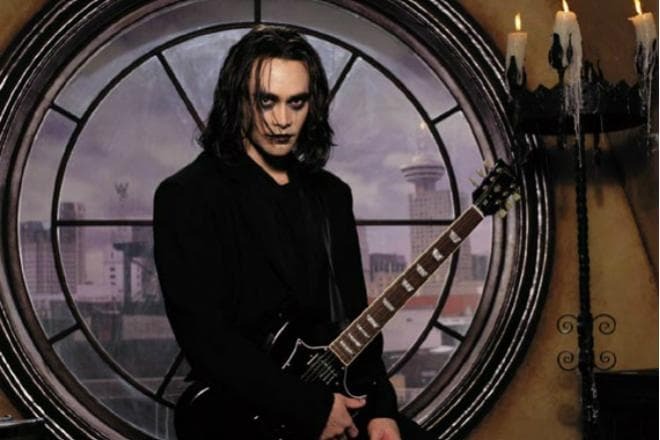 The serial mystical film, shot by order of the Canadian television, it was a kind of remake of the eponymous movie, in which Brandon Lee starred. It is hard to miss the resemblance of the actors, judging by the photos. It predetermined the choice of Canadian producers. The interest in fighters began to fade at the beginning of the XXI century and the actor gradually switched to deeper roles. One of the successes of this period was the work in the film Cradle to Grave of the Hollywood of the director Andrzej Bartkowiak. Jet Li and the rapper DMX were the colleagues of Mark on the set. The actor acted in the role of villain in this thriller. The outstanding works of this period were the historical film Brotherhood of the Wolf, Nomad and the thriller I Am Omega. The actor was nominated for Saturn Award for Best Supporting Actor for the movie Brotherhood of the Wolf. His partners on the set were Vincent Cassel, Monica Bellucci, Samuel Le Bihan and other popular actors. Mark was asked in one of the interviews what he does when he gets a script that he does not like. He told the real situation of his life. It happened two years after the filming of Brotherhood of the Wolf. He was offered a role in the film, in which he had to play with Monica again. He admits that people offered him such fees, which he never had for his entire film career. But the script was just terrible. He decided to call Monica Bellucci to get her opinion on the matter. And then she told him the right thing, that despite the good money if they acted there, it might be their last film job. Mark Dacascos met with the Russian bodybuilder and producer Alexander Nevsky the same year in Hollywood. At the suggestion of the Russian friend, the actor starred in the film Maximum Impact and then tried himself in directing. So in 2016, the film Showdown in Manila was released by the production center Alexander Nevsky. The co-producer of the project was also a longtime friend of athletes, the director Andrzej Bartkowiak. Thanks to his advice in the script the story of love was added, as well as the story of the Russian hero, sniper, whose role Dmitriy Dyuzhev played. The father of the Hollywood star, Al Dacascos was invited as the director of the tricks. And this is not his only experience with Russian actors and directors. He participated in the filming of Oksana Sidorenko in the movie Case Matagami in 2014. Along with him Andrei Chadov, Igor Jijikine, Lyubov Tolkalina and others starred in the film. Dacascos starred in many rating TV shows, including CSI: Crime Scene Investigation, Stargate: Atlantis. In 2015, he joined the cast of the series Agents of S.H.I.E.L.D, where he got the periodic role of S.H.I.E.L.D.’s chief of security. He appeared in the series Hawaii Five-0. Mark plays there the main negative role. In addition to filmmaking, Mark Dacascos participates in Alexander's public project to promote a healthy lifestyle. A Russian athlete conducted this project in the schools of the Tula region for several years. Such Hollywood stars as Don Wilson, Matthias Hues, Adrian Paul, Cynthia Rothrock also take part in the charity project. All athletes are friends and they have a tradition to come to Russia regularly. Besides, since 2005, Mark is the permanent TV host of the famous American cooking show "Iron Chef America." He recognizes he never became a skilled cook over the years but we can call him a gourmet. After all, it is necessary on duty to try ten dishes per the program. The actor met actress Julie Condra on the set of the film Crying Freeman at the age of 31; she became his only beloved wife. Mark Dacascos did not dare to have a serious relationship for a long time because he witnessed many love affairs of his father ( he was married six times only officially) since his childhood. He remains true to his choice. The actor is happy in marriage for more than 20 years. Mark and Julie have three children: two sons and a daughter. In May 2018, it was known that Dacascos signed a contract with the creators of the franchise John Wick and stares in the continuation of the cult thriller. His colleague on the set is Jason Mantzoukas. They will play professional killers with nicknames Zero and Tick Tock Man. Also, Halle Berry and Anjelica Huston joined the cast. 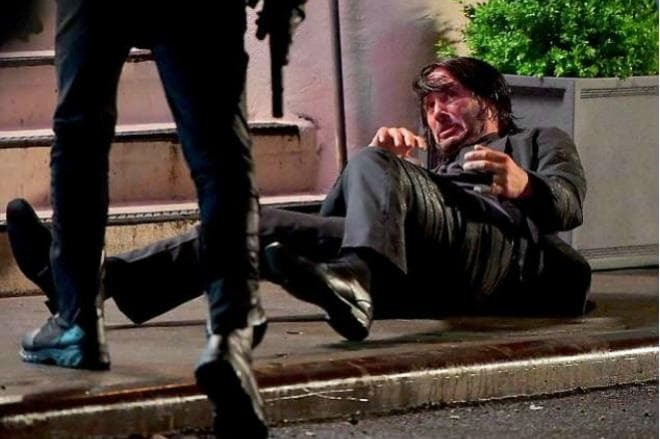 John Wick: Chapter 3 - Parabellum will be released on May 16, 2019. There are new photos on "Instagram" of the actor from the set, the shooting is in full swing. By the way, there is the most current information about the life of the actor on "Instagram," as there are only links to his social networks on the official website of Mark. The net worth is $2 million. 2013 – Agents of S.H.I.E.L.D.